Pest description and damage Several species of spider mites can cause damage in coniferous ornamentals. Appearance of these mites varies with the species, although all are 0.02 inch or smaller. 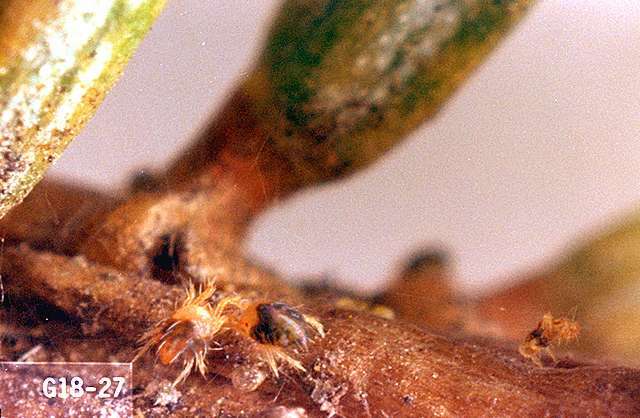 The spruce spider mite is dark green to nearly black with salmon-pink legs. The spherical eggs are laid at the base of needles and hatch in April and May. They can complete a generation in 17 days and build up particularly high populations during hot, dry weather. Plants may be covered with fine silk webbing at branch axils or over sections under very heavy infestations. 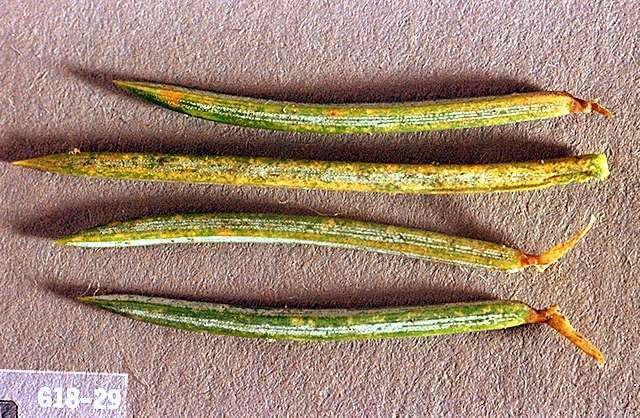 Mites damage leaves by sucking cell contents, which causes stippling, bronzing, and possibly needle drop. The reduction in photosynthesis causes loss of vigor and yield. Trees under continuous attack may look dingy brown, or die from the bottom up.